Muscles Movies and the Mat Game. Have you noticed how all the kid’s heroes are now so muscular? Take “Action Man” toys for example, in early days, he looked tough enough, but the muscular anatomy wasn’t exactly inspiring. Comic heroes like Superman looked good, but again, early versions were more like Mr Blobby than a muscle man, in other words muscles are now accepted as the norm, no more Mr muscle bound. Years ago, if your coach found you lifting weights, you would have been flung off the team, now all sports use weights as an auxiliary part of their training regime. Wrestlers were years ahead when it came to training, not for them sissy running on the spot type of workout, almost to a man, they used weights and heavy ones at that to toughen up for a sport that really does need real muscle and endurance. So it is, that from the ranks of bodybuilders, most wrestlers evolve. Mick McManus told me he first trained under the instructions of Fred Unwin, a renown physical culturist and trainer of fighters. Conan the Barbarian another muscular hero who first appeared in comic books around the ‘30s and of course Superman, Bat Man and many others now iconic figures in fiction history. 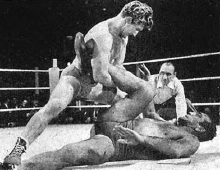 Tarzans popularity spawned many imitators, one being Joe Robinson, brother of Bert, who first came to fame as a Ju -Jitsu instructor, then wrestler. 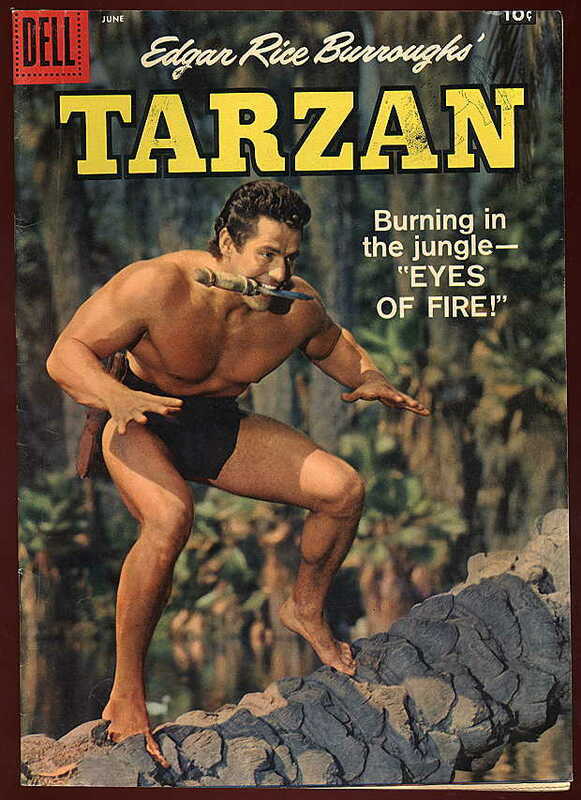 Joe’s fine physique attracted the Italian film makers who featured him in a Tarzan take off called Thaur. 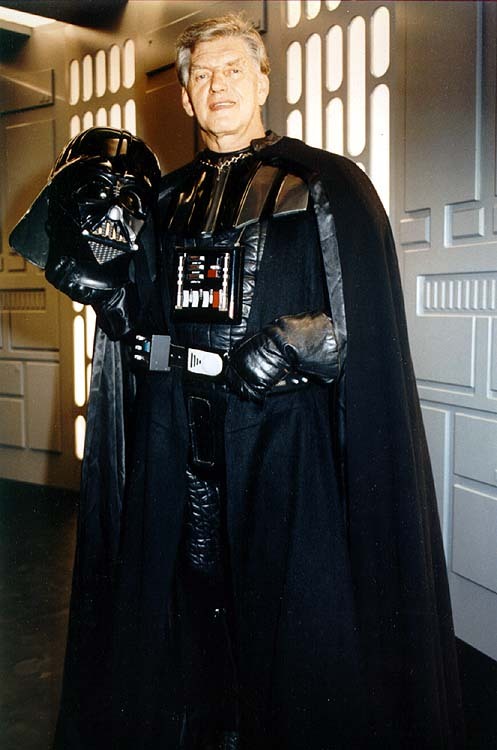 About the same period, the most- long lasting of villains from the movie Star Wars, David Prowse was cast as Darth Vader. 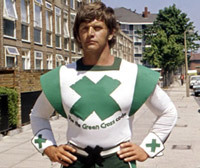 David was not only a world class bodybuilder and British champion weight lifter, but also enjoyed a wrestle. 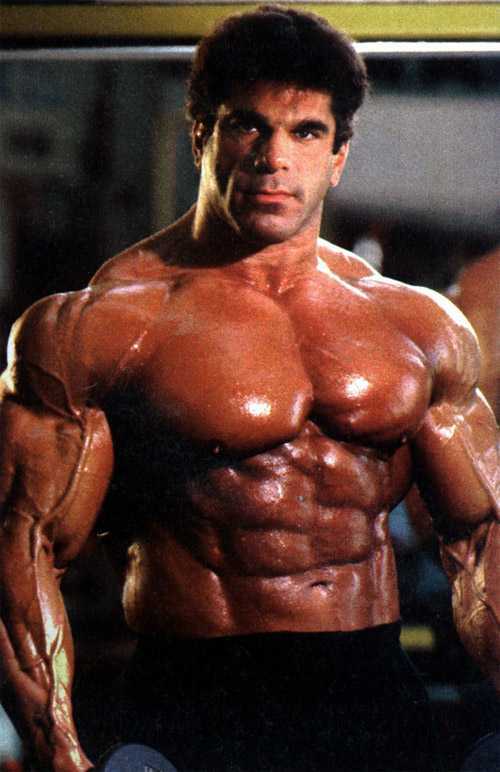 wrestler and world winning bodybuilder, also did a stint in the movies, playing scary zombie like characters. 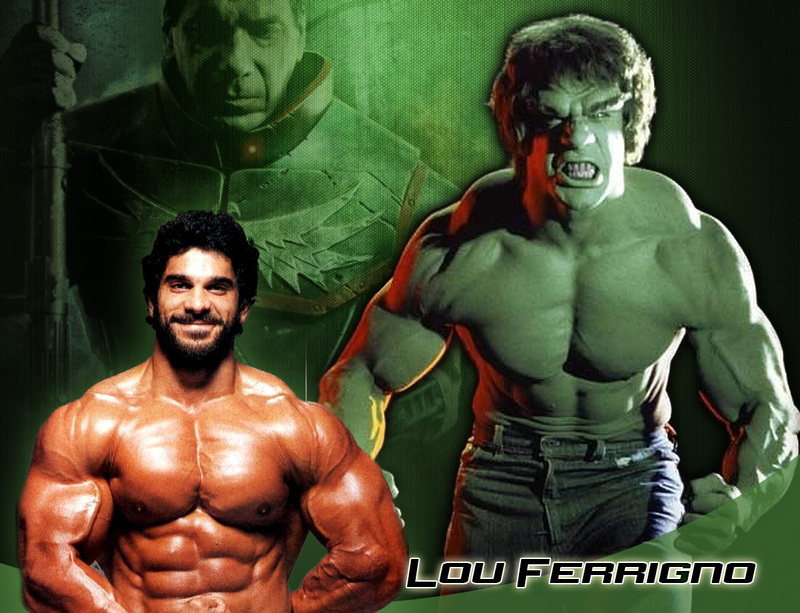 Bill in his turn inspired a young Lou Ferrigno to take up weights, win titles and later fame as The Incredible Hulk. 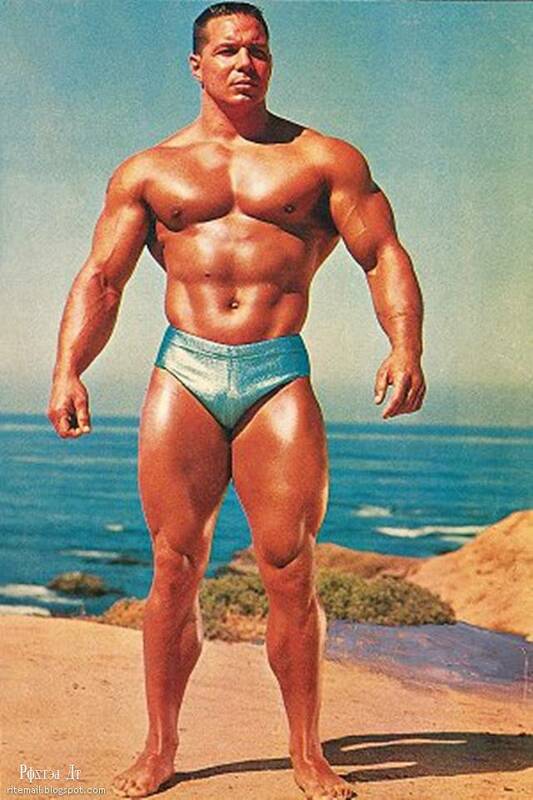 Pearl himself was a contemporary of the British champion Mr Universe Reg Park, who as well as trying out wrestling along with his training partner Spencer Churchill, who stayed in the mat game for most of his life, Reg, followed another muscle man Steve Reeves into the “Sword and Sandal” movies taking over the role of Hercules that Reeves had made so successful. 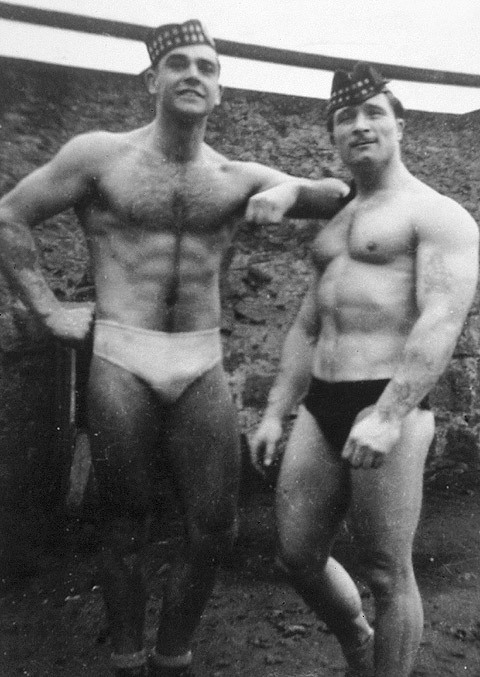 Both Reeves and Park were contemporise of Andre Drapp a former French resistance fighter, who for a time was a pro bodybuilder, but later also, took to the wrestling game, mainly as a bad guy as most will recall. 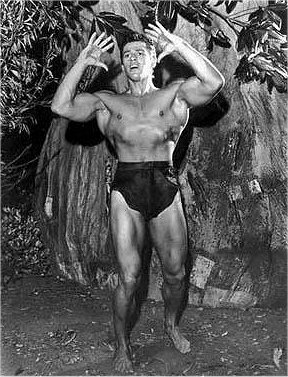 The first muscle man to appear on the silver screen was Sandow in an Edison historic demonstration. 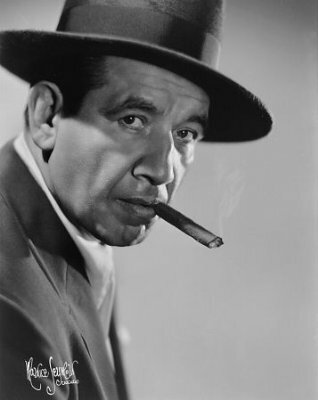 Later Hollywood looked more for villains than good guys from the ranks of wrestlers, using such legends as Mike Mazurki and even Zybscho. The latter appeared in a memorable film The Night and The City. All about the “Shady world of all in wrestling”. I wonder what they meant? Even possibly the greatest wrestler of his era Lou Thesz, who by the way lived to 86 years of age, appeared with Bob Hope in a movie cameo. 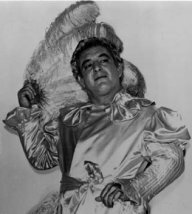 The history of wrestling is complex, most agree that George Wagner, now known to the world as “Gorgeous George” was the for-runner of most of the hyped up characters on the mat with his make up and purple cape. 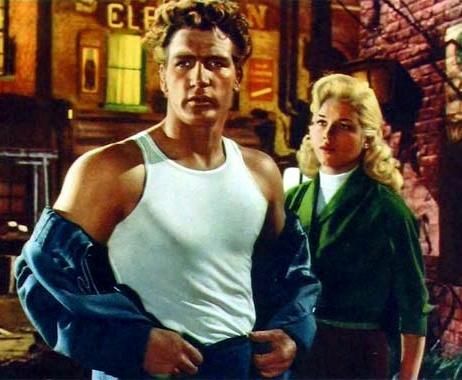 ( Gorgeous George, once beat the French Angel, what a contrast.) 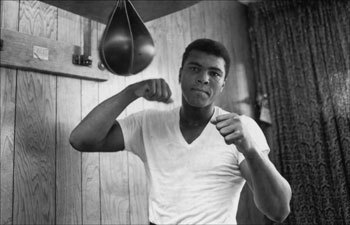 The legendary Mohammed Ali admitted openly that’s where he found inspiration for his showmanship in the boxing ring. Despite the makeup, George was a tough former manual worker who could fight with the roughest of wrestlers. Not so pretty was Harold Sakata a former Japanese/Hawaiian weight lifter with some of the best set of pecs (pectorals i.e.chest muscles.) 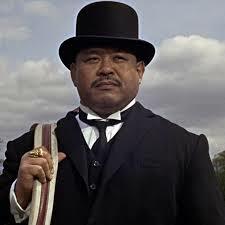 you could find, Fighting as The Great Togo, as a villain in the Bond movies he became the bad guy “Odd job” who had a way with flipping his lethal top hat in the 1984 block buster “Goldfinger.” Bond or Tom (Sean) Connery himself was a long time bodybuilder with wrestling part of his all round training regime. 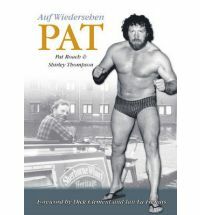 On the home screen of T.V a favourite wrestler/actor was the giant Pat Roach in the regular Auf Weiderson Pet series. 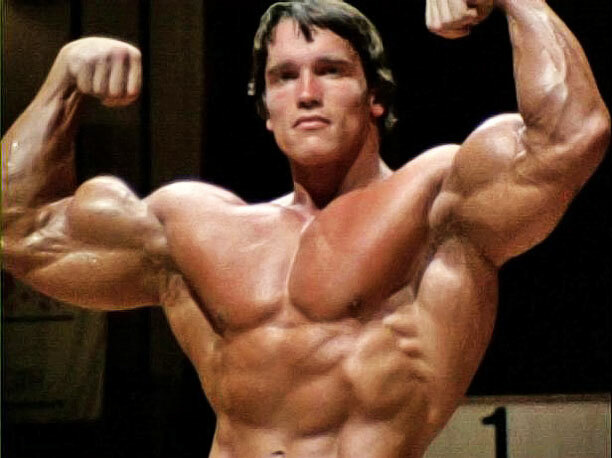 Arnold Schwarzenegger,former Governor of California, already famous as a bodybuilder, found further accolades with his portrayal of at first Conan the Bavarian, then a variety of parts designed to show off his muscles and hide his lack of acting ability. 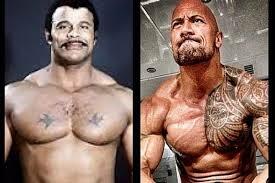 In my opinion, better actor and just as muscular is Duayne Johnson, or as wrestling fans know him “The Rock”. Intelligent, a great actor, most muscular and certainly one of the modern day great wrestlers, The Rock has it all. From “Hack” (Hackenscmidt) to the Hulk (Terry Boulder) the world of wrestling is a great springboard to media fame and fortune. The formula? Train with those weights and build some muscle, learn some ‘rasslin, especially the way to fall, take a few acting lessons, and who knows? 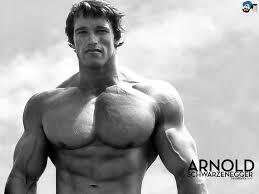 You may turn out to be next movie all action hero. ©David Gentle For the British Wrestlers Reunion web pages. With acknowledgments to sources including Fall Guys 1937, Milo to Londos, Pictorial history of wrestling, Graeme Kent, Nat Fleischer’s Ring Magazine, Blue Blood on the Mat, Joe Dorazio’s Who’s Who of Wrestling, half a century of watching “grunt and groan” and personal conversations and information from real wrestlers, the British Wrestlers Reunion gang.